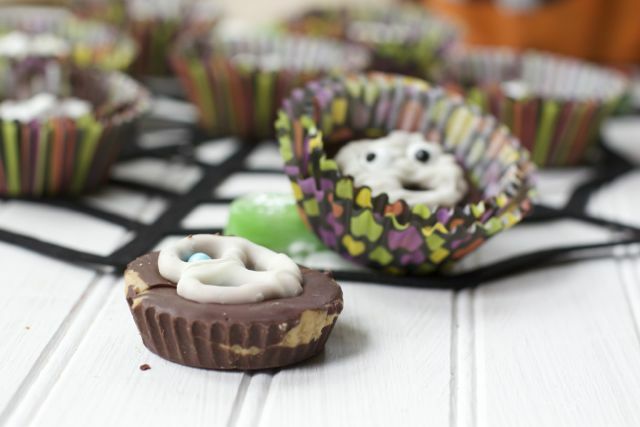 I was provided with promotional items in return from this post Easy Halloween Treats: Mummy Peanut Butter Cups Recipe. All opinions are 100% my own. 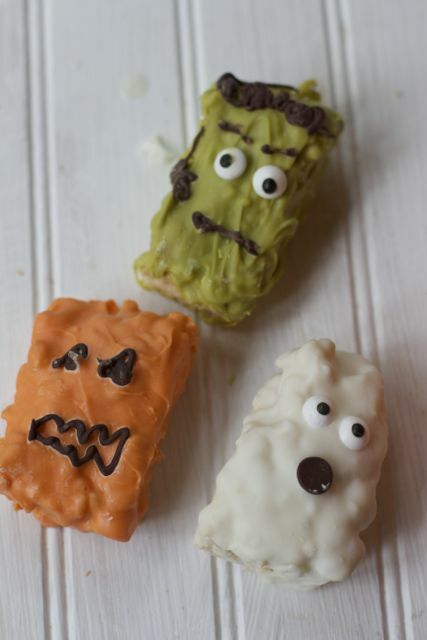 It is mid way thru October and I have been posting about Halloween Ideas for the last 3 weeks. Ig you have not figured it out, I love Halloween and the Halloween Food Ideas are so plentiful. Thanksgiving is a big food holiday too, but not as fun in creativity as Halloween. 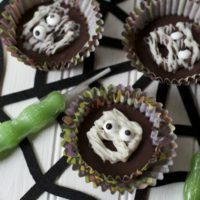 When asked to create a Halloween treat using Flipz I could not be more excited. 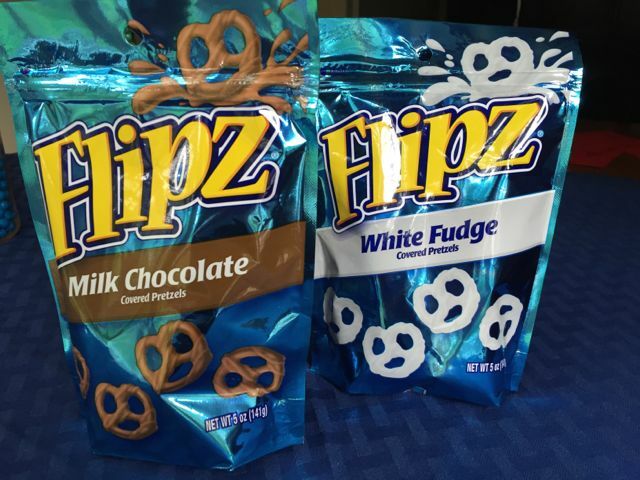 I have created many chocolate covered pretzels for holidays and Flipz take one step out of the process, the pretzels are already coated in chocolate or Vanilla coating. 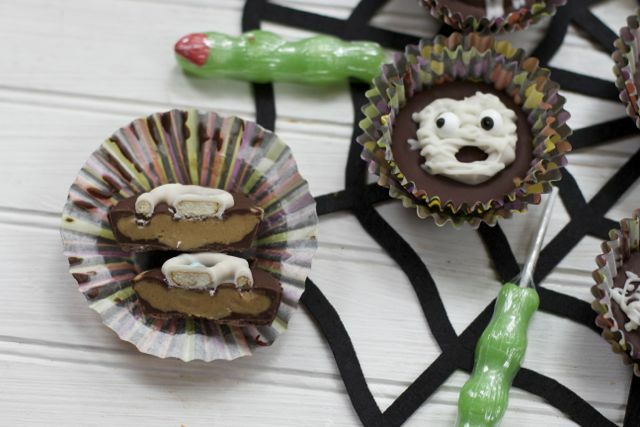 I love peanut butter cups, so why not bring the two ideas together and make Mummy Peanut Butter Cups. 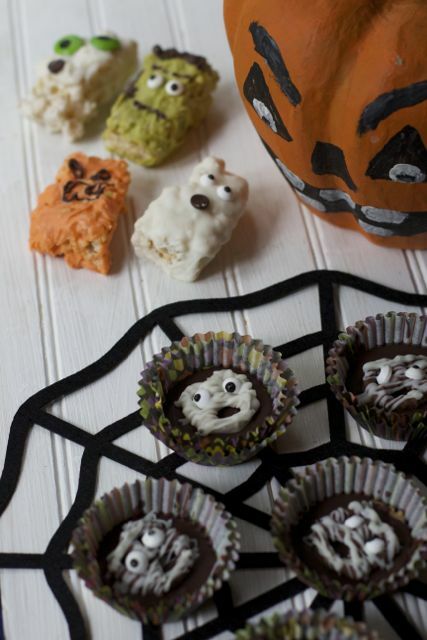 These treats are the Easy Halloween Treats. 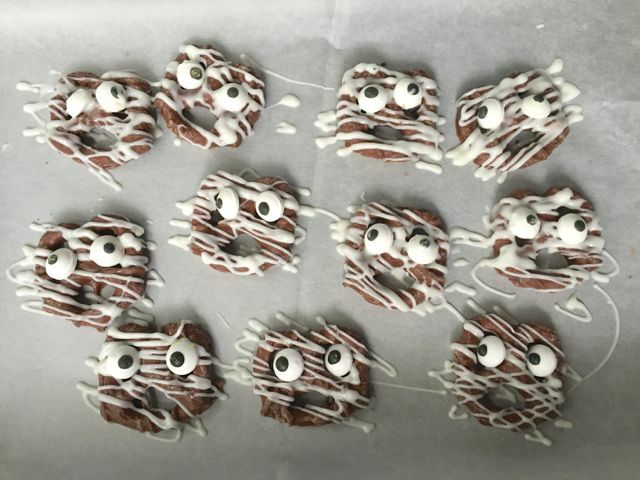 First I created the Pretzel Mummies. Simply melt white chocolate coating in a piping bag. I simply did this in the microwave, checking every 30 seconds so it did not burn. 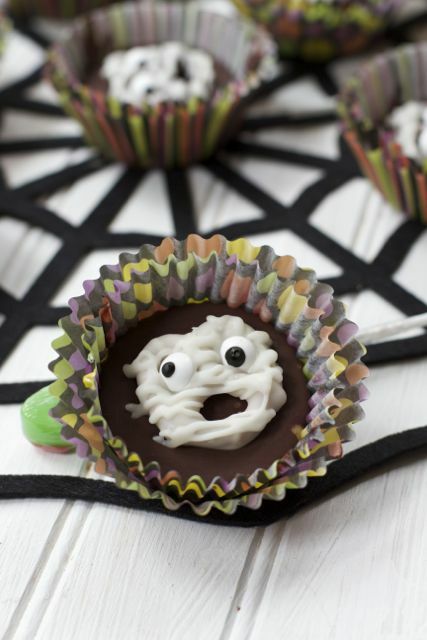 Lay out your Flipz onto a cookie sheet lined with parchment paper. 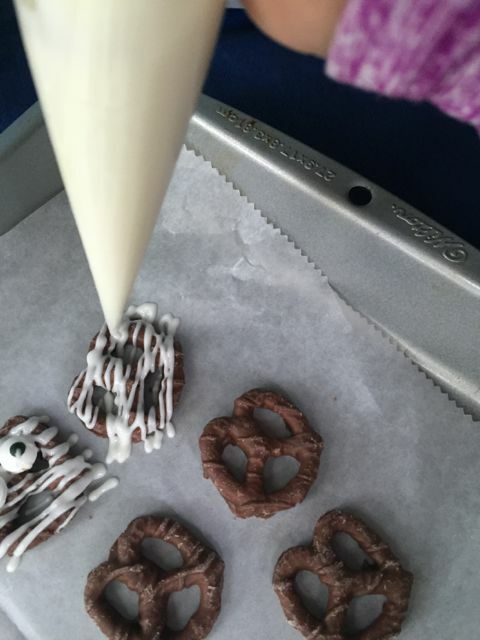 Then just drizzle the white chocolate over each pretzel to create the mummy like wrapping. Add some candy eyes and allow them to set. Now time to make the homemade peanut butter cups! First make the peanut butter filling. Heat peanut butter, butter and brown sugar until melted and smooth. Take off the heat and add powdered sugar. Allow to cool. Melt chocolate chips in the microwave until smooth. Fill each muffin cup with 1 tablespoon of chocolate. 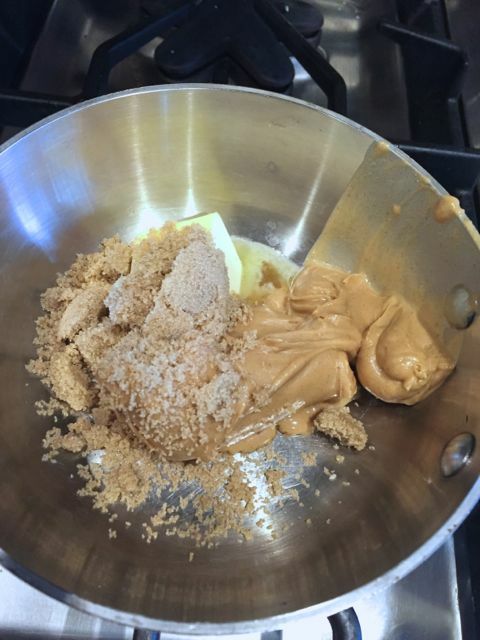 Add a small ice cream scoop of the peanut butter mixuture. Cover the peanut butter filling in with additional chocolate. Tap the tray onto the counter to even out the chocolate. Then add a FLIPZ mummy. Place in the fridge for 15 minutes. These are ready to be served. 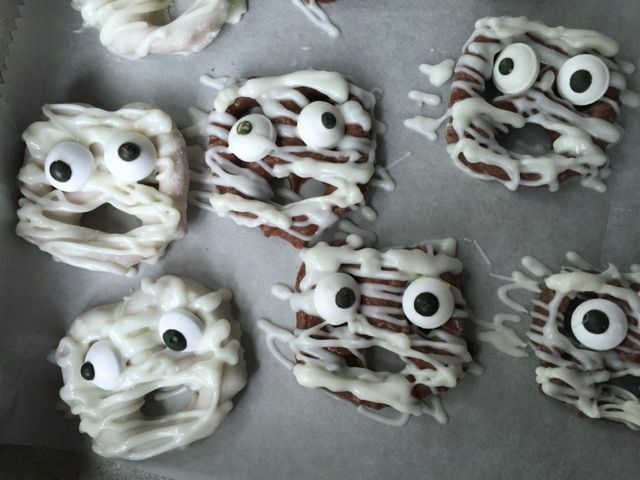 Perfect combination of sweet and salty with the addition of the pretzel mummy. Package a few up for gifts too. (I would store these in the fridge until ready to serve). 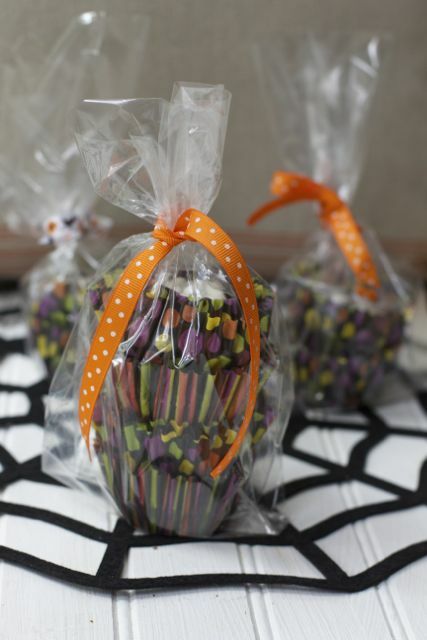 For our Halloween Party treats we also made some of these fun Chocolate covered Rice Krispie Treats. Make your mummies and allow them to set. Line your muffin pan with muffin liners. Set aside. To a small saucepan over medium heat, add the peanut butter, butter, and brown sugar, stirring until melted, smooth, and well-combined. 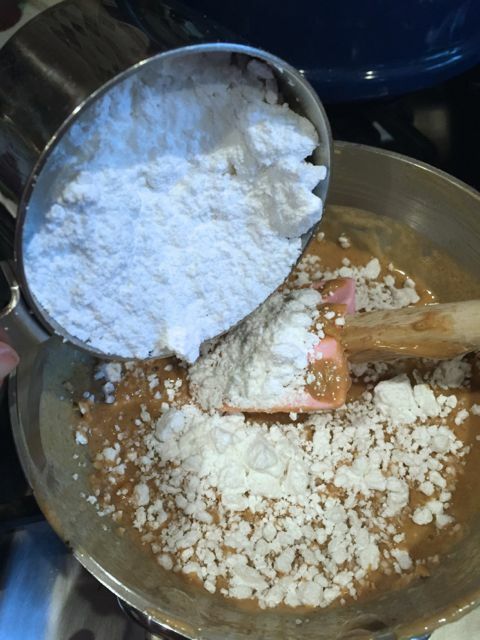 Remove from the heat and begin to gradually add the powdered sugar, mixing well until the mixture comes together. Set aside and cool while you continue with the next step. Melt the chocolate chips and the shortening in a microwave safe dish (, in 30 second increments, stirring between each go. 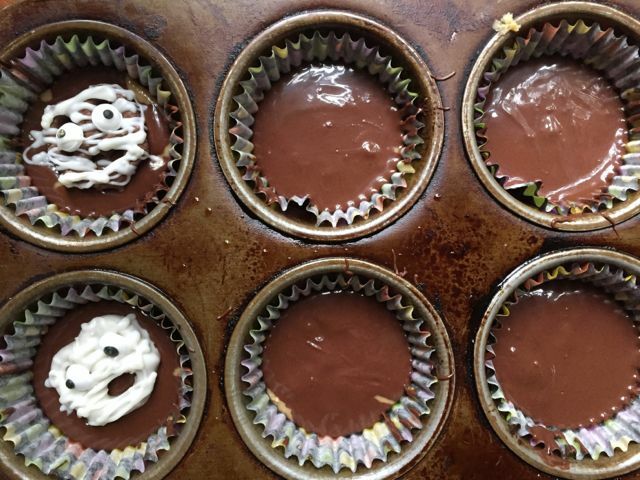 When smooth, use a teaspoon and spoon chocolate into the bottom of each muffin liner. 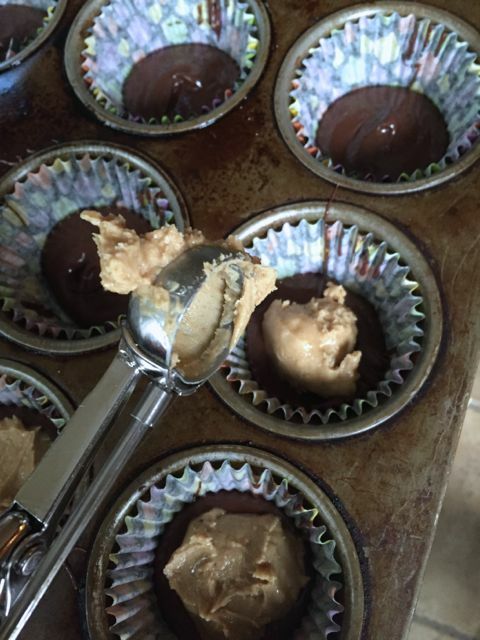 Using a small cookie scoop or a teaspoon, get a small amount of the peanut butter mixture and roll into a ball. Flatten the ball into a disc. Place the disc of peanut butter on top of the melted chocolate and press down gently to encourage the chocolate to come up around the sides of the peanut butter. Spoon more melted chocolate on top of each of the peanut butter discs to cover. 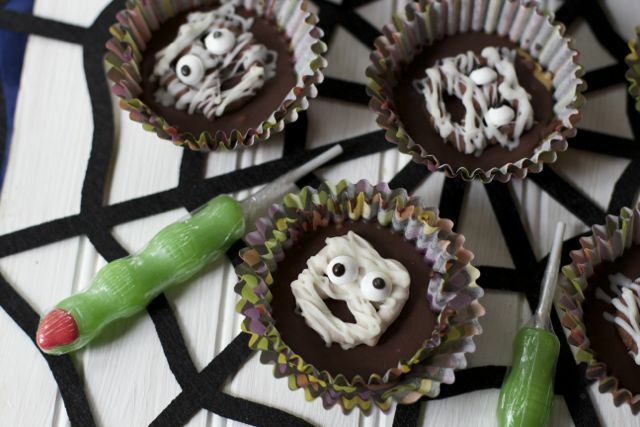 Press a mummy pretzel gently into the top of each candy. Told you these were too cute. Which mummy to do like better, the white fudge or milk chocolate one?